Here is another F3, but a Phase II version, the model immediately following the one seen previously. It's nose (although with the identical contours) has a very different look from the earlier version. The new larger number boards, separate classification lamps, smooth passenger pilot provide a different "feel" and note: the nose door is seen fitted with the "EMD After-Market Supplied" type of modified lower headlight. 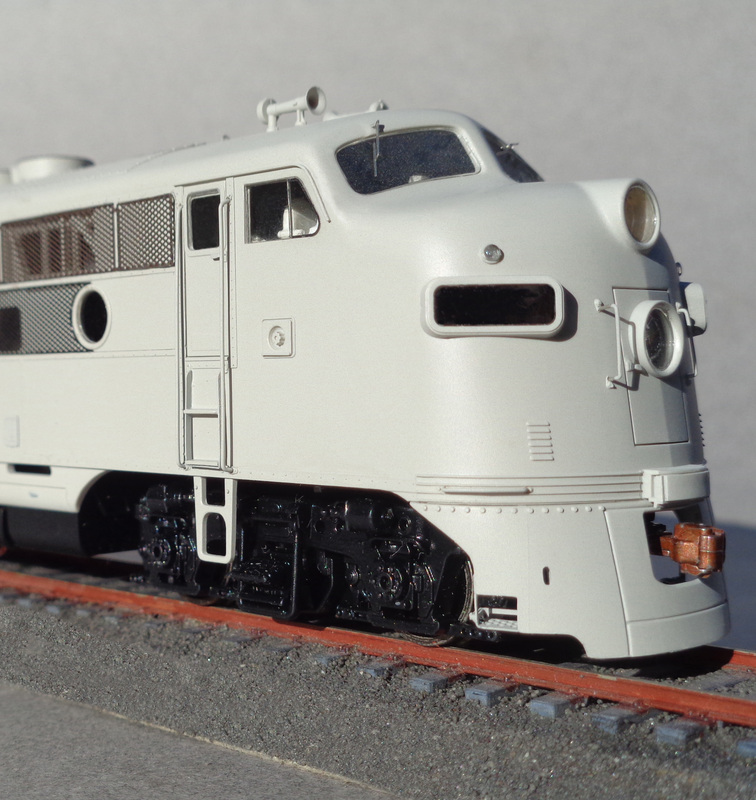 Did you know the vast majority of the AT&SF's "War Bonnet" F Units had this style of later-added lower headlight applied to their originally smooth and plain nose doors? The Highliners kit has this nose door, the smooth non-headlight version, as well as the factory-fitted and blended-in smaller headlight, which was located a little bit higher, a few scale inches above the one seen here. The Devil is in the Details, indeed!